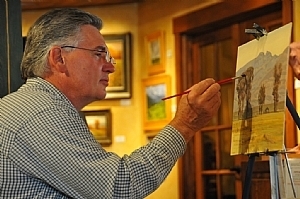 George W. Handrahan is considered to be one of the most collectable artists in Utah. 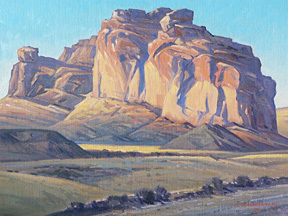 Mr. Handrahan has been painting the beauty of Utah, California and New England landscapes for more than forty years. 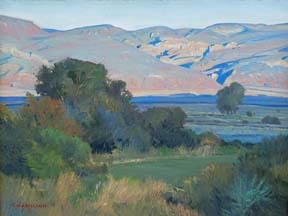 George, a native of Utah, was raised in the rural community of South Weber. It was in this environment that he came to love and appreciate the diverse natural landscape surrounding him, taking every opportunity to spend time out of doors. 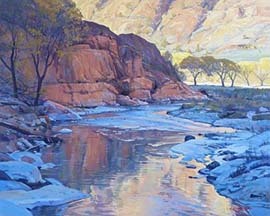 Today, his primary objectives are to capture those instants in nature where form, color and light are constantly changing, while simultaneously instilling into each canvas a personal and emotional response. 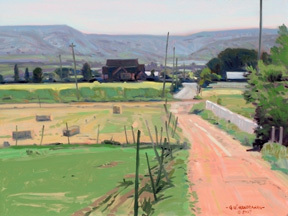 His paintings invite the viewer to see, in a unique way, color they might otherwise have missed, to sense a mood frequently ignored, and to share in the beauty of a transient time and place.